Please go to the below link to complete a short survey on the Invercargill Airport – we would love to hear your feedback. This entry was posted in Uncategorized on 4 July 2017 by invercargillairport. An airport provides the first impression of a region for arriving visitors and when architects Warren and Mahoney were asked to design a new airport for Invercargill they wanted to create a modern, elegant design which reflected the beauty and diversity of the Southland region, as well as its distinctive culture. The airport design has proved to be a winning design, carrying off the Public Award at the Southern Architecture Awards, organised by the New Zealand Institute of Architects. The awards judges said the airport design was a “strong, simple form with local reference distinguished by exemplary planning and excellent way-finding.” They said the project had been executed “with admirable attention to detail”. Project architect Jeremy Dunlop, from Warren and Mahoney’s Queenstown studio, said the design was originally inspired by the historic World War Two hangars located on the site, while the terminal building was designed in a low, curving form suggestive of a large aircraft wing “to capture the romance of flight.” The terminal is designed on a structurally efficient grid to allow for the smooth processing of passengers, but also to allow for future expansion by adding bays. On arrival passengers are greeted by a colonnade which provides a civic quality to the building. Several textural precast concrete pods have been designed to reflect the varied typography of Southland, from Stewart Island to Milford Sound, and an internal wall graphically illustrates the native flora and fauna of the region. local aggregates in the polished concrete floor. Jeremy Dunlop said there were a number of challenges throughout the two year construction project: the chief one being that the airport needed to be fully operational throughout the construction period. The other main drivers were the airport’s brief for a building that would be flexible enough to allow for future expansion, and that would be economical to maintain and reduce its energy consumption. 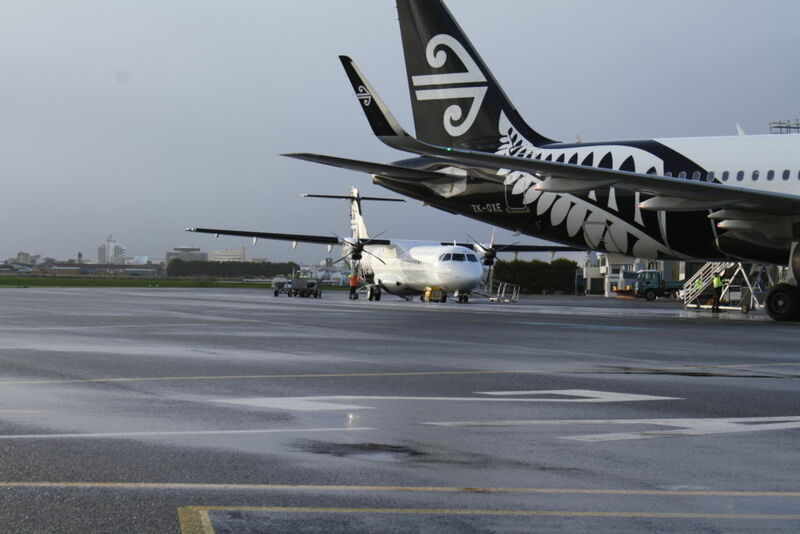 Invercargill Airport General Manager, Nigel Finnerty, said that the airport company had aimed to create a terminal building that Southland could be proud of. 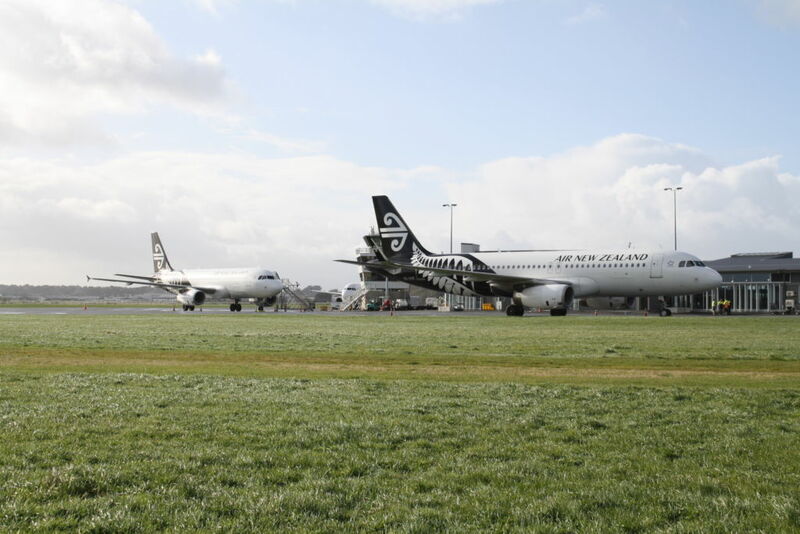 He said the NZIA design award cemented the airport’s win as the Regional Airport of the Year at last year’s New Zealand Airports Conference. The airport project, he said, had been one of “innovative thinking, engagement and most of all collaboration. This entry was posted in Uncategorized on 26 June 2017 by invercargillairport. 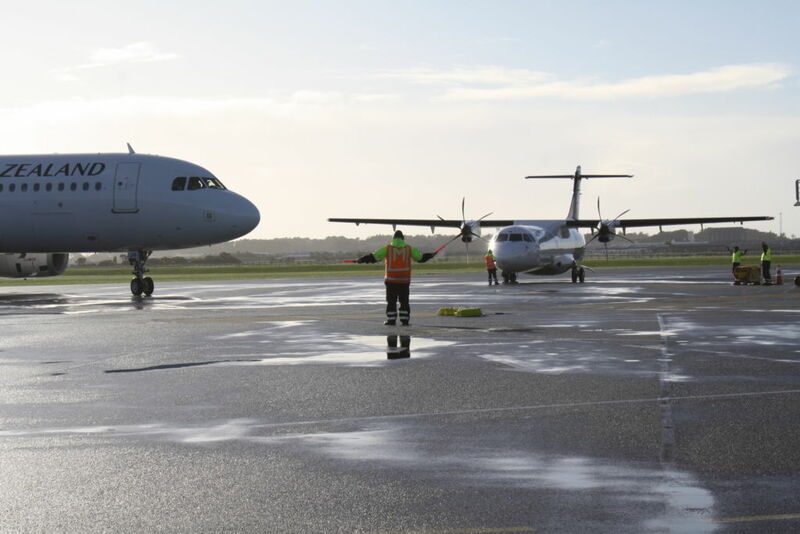 On Tuesday 20th June, Invercargill Airport along with the emergency services conducted an emergency response exercise. The exercise involved the use of life fire-training scenarios within the confines of the airfield. The aim of the exercise was to test the airport’s processes and staff’s response to an emergency situation and identify areas where improvements could be made. This is completed every 2 years. 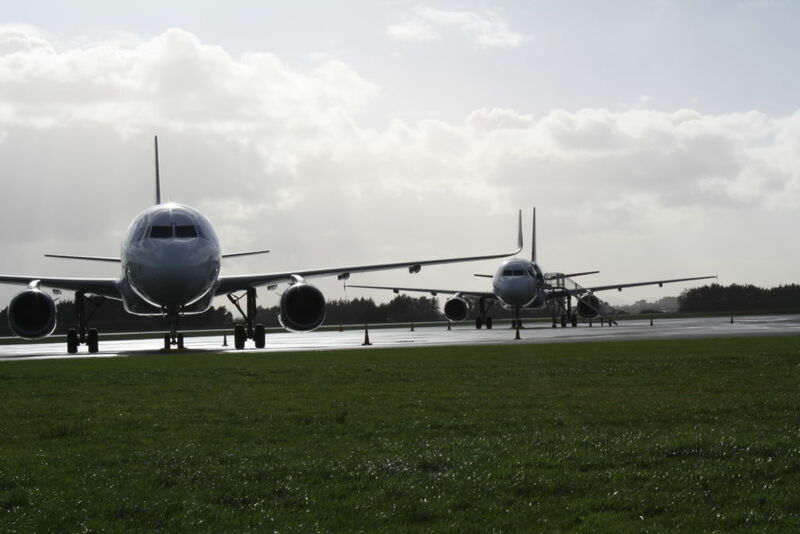 Due to weather conditions in Queenstown, Invercargill Airport was able to host two A320 diverts this morning. The first aircraft arrived in at approximately 10:30am with the other aircraft following close behind at 11:30am. The second aircraft held on the runway and waited for the first A320 to depart before coming on to the Apron to park, you can see this in the image below. This entry was posted in Uncategorized on 25 May 2017 by invercargillairport. 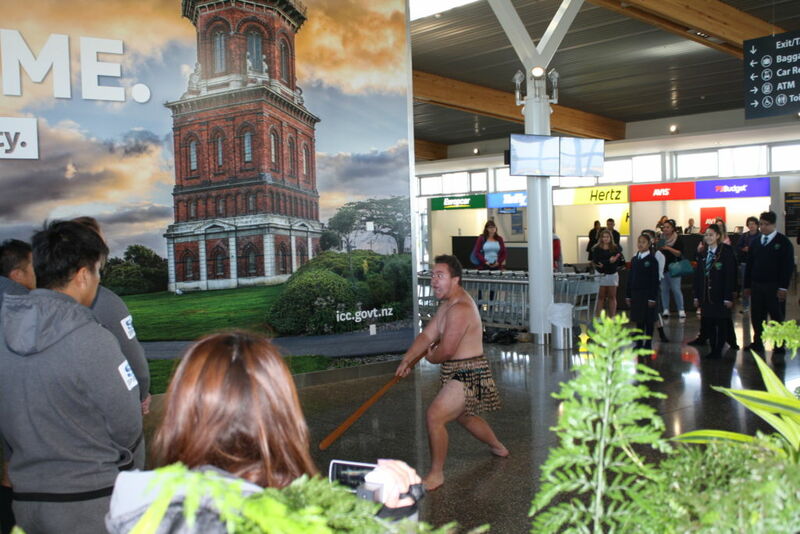 On May 20 three A320 flights from Auckland and Wellington landed in Invercargill for the famous Oyster Festival in Bluff. The three flights were same-day return flights. Customers of these flights were also able to enjoy other Southland experiences such as, Bill Richardson Transport World, Classic Motorcycle Mecca, Seriously Good Chocolate Factory, a tour and tasting at Invercargill Brewery and E Hayes Motorworks. The Southern Lights Cafe at the Invercargill Airport has the best sausage rolls in Southland according to The Hits radio station listener votes on Friday 12 May 2017. The Southern Lights Cafe has a fantastic selection of food and beverages available 7 days a week. 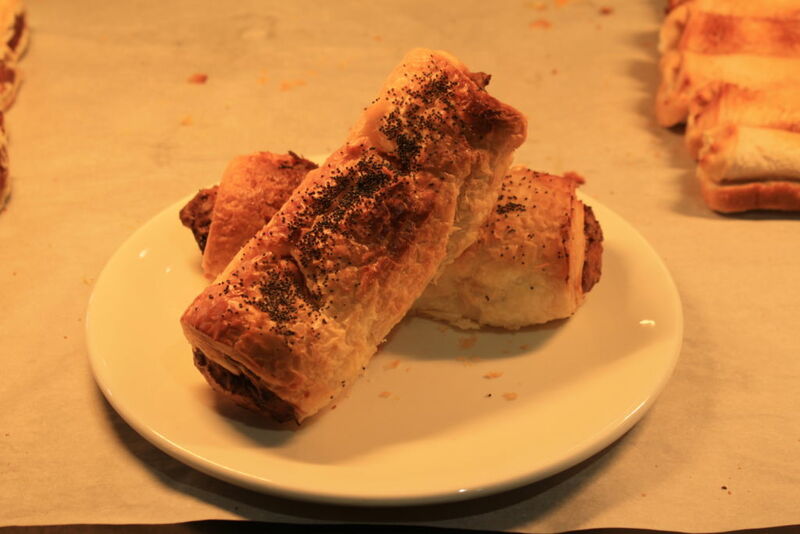 So if you are looking for something to keep you warm on a cold day bring your family out to the airport and try our famous sausage rolls with a cup of coffee – there is lots of yummy treats at the cafe for the kids and a great play area too! This entry was posted in Uncategorized on 17 May 2017 by invercargillairport. The Sunwolves Rugby team flew into Invercargill on Friday 21 April, ahead of their game on Saturday 22 April at Rugby Park Stadium. Kick off on Saturday is at 5:15pm. The team was welcomed to Invercargill by some of the talented Te Wharekura O Arowhenua students. This entry was posted in Uncategorized on 21 April 2017 by invercargillairport. The Invercargill Airport drop off road will be closed between 12:20pm – 6:30pm on Monday 10 April, due to resealing of the road. The main car park will still be open. If you require any assistance during this time please see our Customer Service staff who will be here during this time. This entry was posted in Uncategorized on 7 April 2017 by invercargillairport. 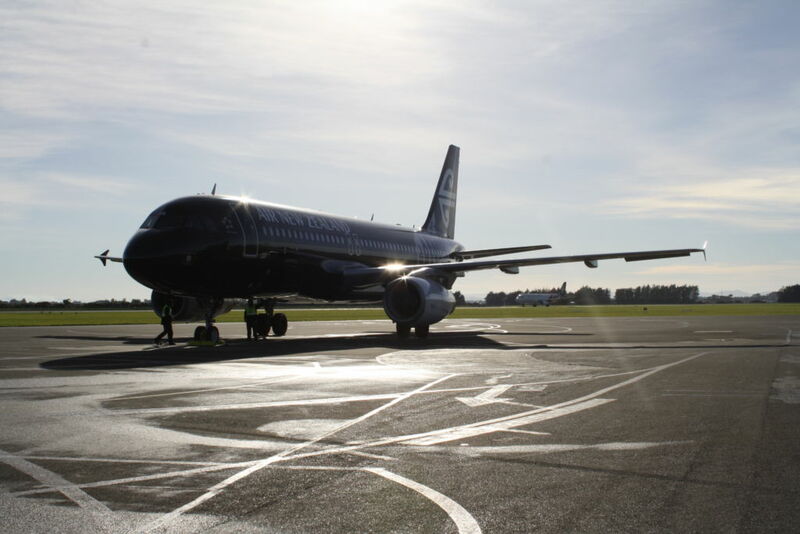 If you wish to visit Invercargill Regional Airport of the year or use Invercargill as a base for your aircraft and travel on to some of the other fantastic areas of the south, Invercargill Airport has you covered. At Invercargill Airport, we have a brand-new terminal with state of the art facilities, officially opened by the Prime Minister in early 2016. During our normal operating hours, we have welcoming, friendly staff throughout the Airport who are available and very happy to assist you during your visit. Invercargill Airport has one sealed runway and two grass runways which can operate for 24 hours a day. We are fully compliant with the international Civil Aviation Authority regulations as required by the New Zealand Civil Aviation Act 1990. Southland’s daylight hours are a blessing for aviators in the summer as daylight begins as early as 5am and extends as late as 10.30pm, which translates to an incredible 16 hours flying time. 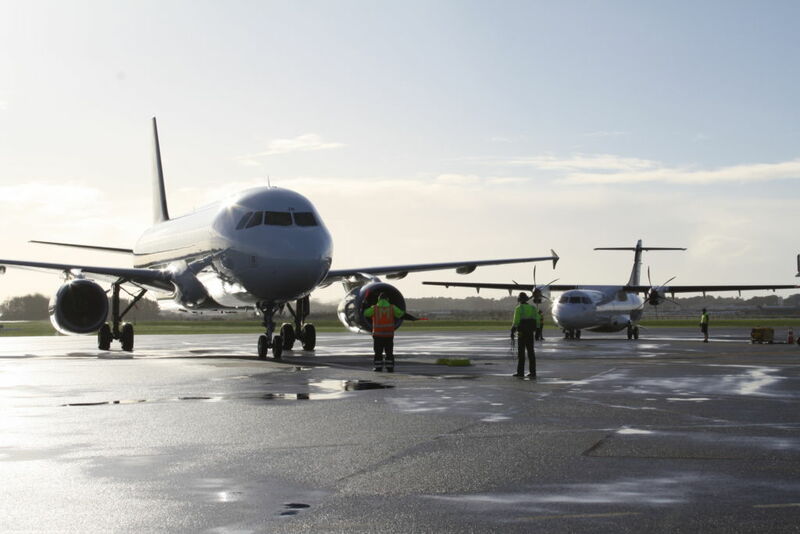 Aircraft parking at the Invercargill Airport is not an issue as we have stands 3 stands available for large aircraft and can use GA areas for smaller aircraft. If required, we can arrange out of normal hours’ Fire Service and Air Traffic Control service by prior arrangement. We have the ability to process small private international passenger flights of up to 14 passenger and crew. Customs inspection and quarantine areas can be made available by prior arrangement. If you wish to travel on through to Queenstown there are transport options available on site including Helicopter and professional car services. Please click on the link below which will provide you with more information. This entry was posted in Uncategorized on 21 February 2017 by invercargillairport. This entry was posted in Uncategorized on 18 January 2017 by invercargillairport.